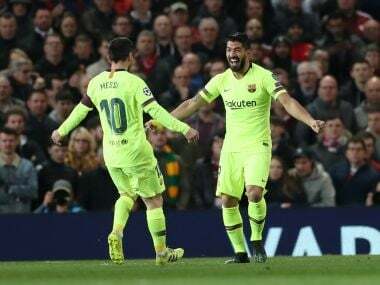 Paris: Lionel Messi netted twice in Barcelona's convincing 3-0 victory over Juventus that kicked off their Champions League campaign in style, while Paris Saint-Germain, Manchester United and Chelsea also won big on Tuesday. 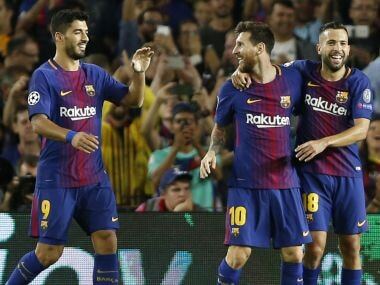 After a troubled summer, a home meeting with last season's runners-up may not have been what Barcelona wanted, but Messi was at his brilliant best to give the Catalans the three points. New signing Ousmane Dembele was handed a first Barcelona start at the Camp Nou but it was Messi who got the opening goal on the stroke of half-time after a brilliant exchange of passes with Luis Suarez. It was fine play from the Argentine that led to Ivan Rakitic doubling Barca's lead on 56 minutes and Messi saved the best for last with a sublime goal to complete the victory midway through the second half. "I have suffered many times playing against Messi and now I have the luck to have him on my side," said Barca coach Ernesto Valverde. The result gave Barcelona revenge for their defeat to Juventus in last season's quarter-finals and leaves them on top of Group D alongside Sporting Lisbon, who won 3-2 away to Olympiakos in Greece. Sporting, who had been three goals up at half-time, host Barcelona next. While Barcelona adapt to life without Neymar, the Brazilian is enjoying life with PSG and scored the opener in their superb 5-0 victory over Celtic in Glasgow. Neymar silenced the Parkhead crowd in the 19th minute for his fifth goal in five appearances for PSG, and he then set up Kylian Mbappe to make it 2-0. Edinson Cavani -- the third member of PSG's 'MCN' front three -- won and converted a penalty to put the visitors out of sight before the interval. A Mikael Lustig own goal on 83 minutes and another for Cavani put the seal on PSG's victory and left Celtic to contemplate their heaviest ever home defeat in Europe. "It was a great match and very important to win. It is always a pleasure to play alongside great players," Neymar told beIN Sports. 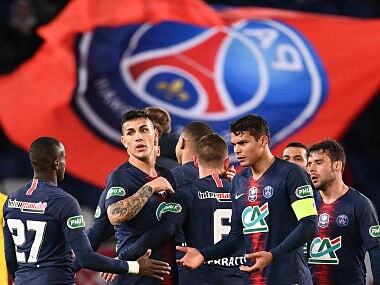 PSG's next opponents in Group B will be five-time European champions Bayern Munich, who began their campaign by brushing aside Anderlecht 3-0 at the Allianz Arena. The game was conditioned by the early sending-off of Anderlecht's Sven Kums for giving away a penalty that Robert Lewandowski converted. Alexandru Chipciu did hit the post for the 10 men when it was still 1-0 but Bayern added two more goals in the second half, with Joshua Kimmich setting up Thiago Alcantara to score before wrapping up the win himself. 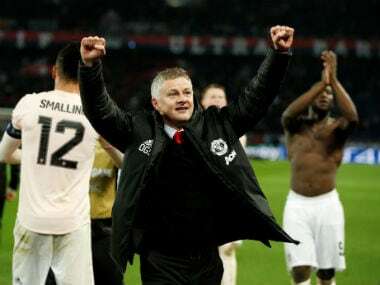 Substitute Marouane Fellaini was an unlikely source of inspiration as Manchester United comfortably defeated Basel 3-0 in Group A on their return to the Champions League. Fellaini came on for the injured Paul Pogba and gave United a 35th-minute lead at a drizzly Old Trafford. He later teed up Marcus Rashford for the hosts' third goal after Romelu Lukaku had struck early in the second period. 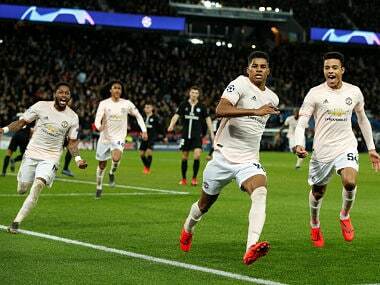 It was United's first Champions League game since December 2015, with Jose Mourinho's side having engineered a return to the competition by winning the Europa League last season. In the same group, CSKA Moscow came from behind to beat Portuguese champions Benfica 2-1 in Lisbon with Timur Zhamaletdinov getting their winner. CSKA entertain United later this month. Mourinho's old club Chelsea were the biggest winners on the night, thrashing group stage newcomers Qarabag 6-0 at Stamford Bridge in Group C.
A superb Pedro Rodriguez strike set Chelsea on their way before recent signing Davide Zappacosta's intended cross flew in to make it 2-0 before the interval. Cesar Azpilicueta and Tiemoue Bakayoko scored after the break and Michy Batshuayi added the fifth before forcing Maksim Medvedev into the own goal that completed the rout. Chelsea next go to Atletico Madrid, who drew 0-0 at Roma on Tuesday.